Are you looking for affordable fungal nail treatment in Cardiff? Look no further than Healthy Happy Foot. At Healthy Happy Foot, our podiatrist offers a range of fungal nail treatments for your foot care. 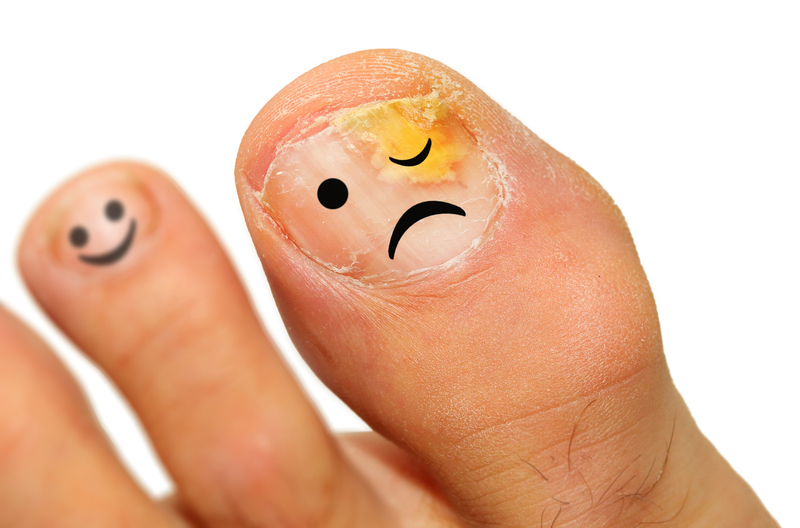 Fungal infections occur when microscopic fungi enter the nails, through trauma or micro trauma from footwear. These reproduce and spread through the nail. The moist warm environment of socks and shoes is congenial for the growth of fungus in the nails, and hence fungal nail infections are difficult to treat. Our podiatrist specialises in treating all types of fungal nails. With years of experience in the podiatry treatments, our specialist can treat any type of foot conditions. Based in Cardiff, we offer services to customers across the area. We are a renowned name for our effective and affordable treatments. Call us today to find out about a wide array of foot care treatments we offer. In addition to Fungal Nail, get in touch with us today for nail cutting, verrucas, chiropody services, podiatry treatments and toenail reconstruction – we’ll be more than happy to help. What is Lacuna Fungal Nail Treatment and how will it help me? Lacuna means – ‘an unfilled space’, ‘a cavity or depression.’ This relates to the nail treatment because we create small holes in the nail plate to treat the infection. The Lacuna treatment involves drilling multiple holes in the fungal area (nail plate) with the innovative and specially designed micro burrs. We then spray on anti-fungal agent, such as Lamisil directly into the holes and spray across the nail plate, which will spread under the nail as you walk. With daily application of the anti-fungal agent, the infection is stopped from spreading and the damaged nail grows out. The patent will need to continue applying this every day and return in 6 weeks for a review. This treatment is relatively painless and no anaesthetic is required. Treatment time takes from around 45 minutes – depending on the number of toes affected and the number of holes required. Lamisil is an anti-fungal drug that is also known as terbinafine. It works to create an imbalance in the fungal cell wall, this then causes fungal cell death so it is known as a ‘fungicidal’ drug. To ensure this treatment works, patients must apply the spray daily.